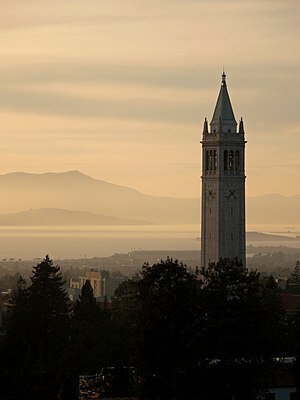 BERKELEY, Calif. (AP) — Fifteen years ago, California voters were asked: Should colleges consider a student’s race when they decide who gets in and who doesn’t? With an emphatic “no,” they made California the first state to ban the use of race and ethnicity in public university admissions, as well as hiring and contracting. Since then, California’s most selective public colleges and graduate schools have struggled to assemble student bodies that reflect the state’s demographic mix. Funny how legislation outlawing something makes it much harder to do, no? But consider what they’re really talking about there. California’s citizens use a popular referendum to pass a law, one that follows MLK’s dream that people “not be judged by the color of their skin”, and administrators supposedly serving at the discretion of the people’s duly elected representatives are “struggling” to undermine its intent. College officials are worried today’s more conservative court could limit or even ban the consideration of race in admissions decisions. ‘If the decision is very broad and very hostile to affirmative action, the future of the rest of country may look very similar to California,” said Barmak Nassirian, associate executive director of the American Association of College Registrars and Admissions Officers. Yikes! Does he mean an over-regulated nanny-state drowning in red ink? Let’s hope he was talking about the weather. The effects of California’s ban, known as Proposition 209, are particularly evident at the world-renowned University of California, Berkeley campus, where the student body is highly diverse but hardly resembles the ethnic and racial fabric of the state…. Junior Magali Flores, 20, said she experienced culture shock when she arrived on the Berkeley campus in 2009 after graduating from a predominantly Latino high school in Los Angeles. Flores, one of five children of working-class parents from Mexico, said she feels the university can feel hostile to students of color, causing some to leave because they don’t feel welcome at Berkeley. Well, no wonder, Harry. What minority would choose to enter the KKK of elite universities? Backers say affirmative-action policies are needed to combat the legacy of racial discrimination and level the playing field for minorities who are more likely to attend inferior high schools. Colleges benefit from diverse student bodies, and minority students often become leaders in their communities after graduating from top colleges. “It is extraordinary that the vast majority of high school graduates in this state are minorities, and they’re denied the opportunities to go to their state universities,” said attorney Shanta Driver for the group By Any Means Necessary, which filed suit to overturn the ban. Yep, just like I was “denied the opportunity” to play major league baseball. When liberals claim respect for the Constitution and the unique experiment in self-governance that created the greatest country on earth, just remember the name of Ms. Driver’s organization. Respect for differing opinions is a facade, not always well hidden. To heck with democracy. Progressives are absolutely convinced of their own rightness, and have proclaimed the time for debate over. Remaking the world in their own reality-defying image is their goal, and they’re willing to do it By Any Means Necessary. This entry was posted in Daily Breakdown and tagged affirmative action, By Any Means Necessary, California, California Proposition 209 (1996), racial quotas, University and college admissions, University of California Berkeley by frack. Bookmark the permalink.